Archimedean screw turbines are being installed at a river weir in Otley to provide electrical energy to a new housing development. 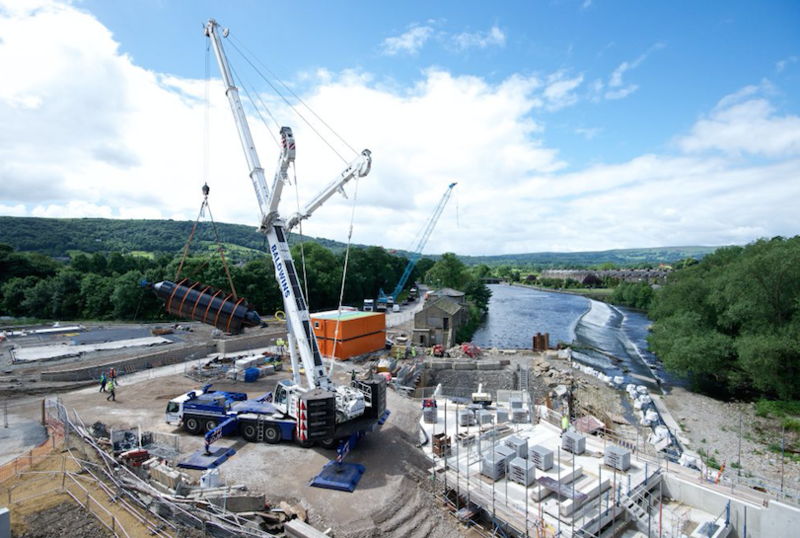 Garnett Wharfe, a David Wilson Homes development regenerating a historic derelict paper mill site in Otley, has seen the installation of a twin Archimedean screw turbine on the River Wharfe over the historic paper mill weir near the centre of Otley. Garnett Wharf has received investment through the Leeds City Region Enterprise Partnership’s (LEP) economic development loan fund. The fund is available to support capital projects, focusing particularly on infrastructure.